Do Up, Demolish Or Develop - You Decide! AUCTION: Friday, 12 April 2019 at 12:00pm Harcourts Wellington City Office (unless sold prior). What an opportunity awaiting an astute buyer. Our amazing owner has lived here for 84 years and is sadly leaving this much-loved home for life up the coast. Built in the 1910s, it's largely original, with three bedrooms, a sitting room as well as a separate lounge, a tidy kitchen and a sunny and large (approximately 632 m²section) to enjoy. 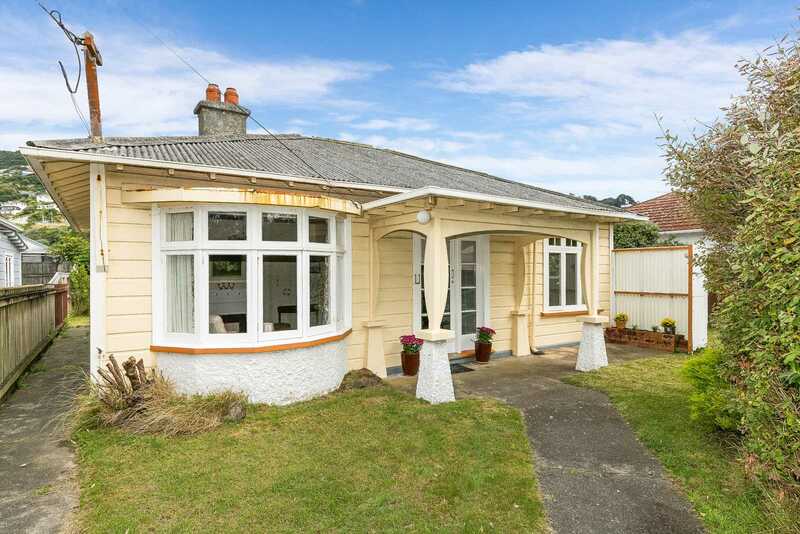 Situated on the flat, in popular Lyall Bay, it's walking distance to the beach and you'll see the potential to either renovate or develop on this sizeable site. With your sleeves rolled up and plenty of imagination, you could transform this cute cottage into a modern, warm and comfortable home. Or remove the house and build afresh. Either way, with an auction buyer's guide from $550,000, this is a brilliant opportunity for someone. LIM has been ordered - don't delay, you must come and view today.